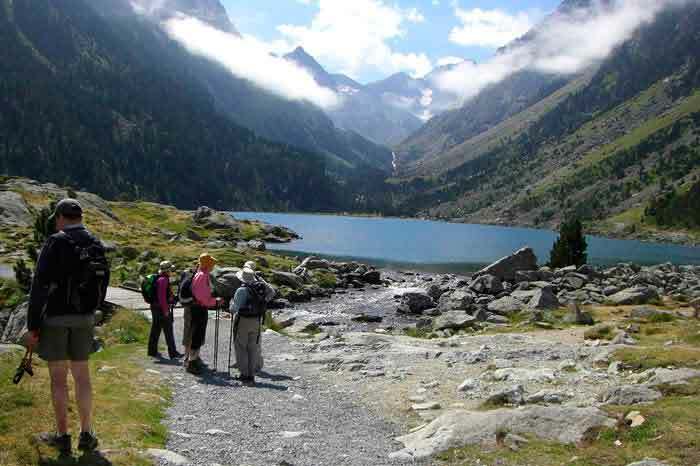 Walking Holidays French Pyrenees. 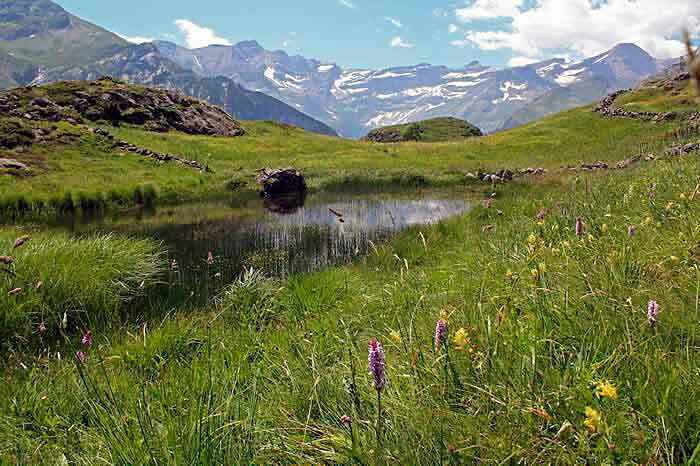 Enjoy a self-guided walking holiday in the French Pyrenees, making the most of the walking in these magnificent mountains could not be easier… Visit all the best sites – Gavarnie, Pont d’Espagne, the Neouvielle lakes, and lots on your doorstep! Glorious unspoiled scenery and superb walking at each of these magnificent places, to be enjoyed at your own rhythm and pace, or join with others on one of our small-group guided wildlife walks. All the information for a successful self-guided walking holiday in the Pyrenees is included in the cost of your accommodation. As well as our personal briefing, you will be given detailed route guides to the superb footpath network around Bareges and in the National Park, and you can make use of our own local transport service to reach the best walks including our A-to-B routes. 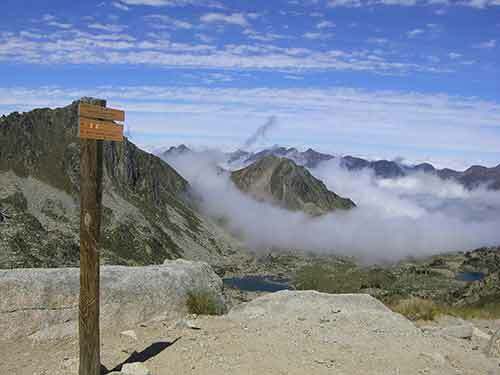 Local places that can easily be visited and for which we provide route guides include many lovely destinations within the Pyrenees National Park – Gavarnie, Cauterets and Pont d’Espagne, the Neouvielle lake region, Troumouse, the Pic du Midi to name but a few, with walks for all levels at each. With our local experience we know exactly the best places to visit for each month of the year – great scenery and great wildlife with the local experts! 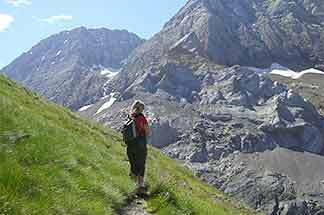 We have been living and offering walking holidays in the French Pyrenees for over 30 years, so nobody knows the terrain better. If you have been dreaming of a unique holiday experience, you should definitely consider a walking holiday in the French Pyrenees. Since we have a complete package for you which includes accommodation, all you need to work on is booking your travel. The walking potential from Barèges and Luz is enormous …all on your doorstep! We have brilliant walks for all interests and abilities using the extensive and well-signposted footpath network, and it’s all on your doorstep. Lower-level paths take you through the flower meadows, mixed woodlands and the picturesque historic villages of the Pays Toy. Head to the south from Bareges to enter the National Park and the superb Néouvielle region with its 100 lakes and 3000 meter peaks. The GR10 long-distance footpath also passes through Barèges and Luz. We have walks to explore the famous Cirques of Gavarnie and Troumouse, and across the border in the Ordesa. Choose between either 3-star hotels or stay in our own quality apartments. Available all dates May to end September. For more information about the tours we offer, see individual holiday pages.